Use colour psychology to improve your branding work with CA issue 266, on sale now! Colour is a powerful tool in a designer’s arsenal, but unless you’re careful, your colour choices can come down to a boardroom debate fuelled by a client’s personal preference. Fortunately, colour psychology is a complex, nuanced field that, applied properly, should render said preferences irrelevant. 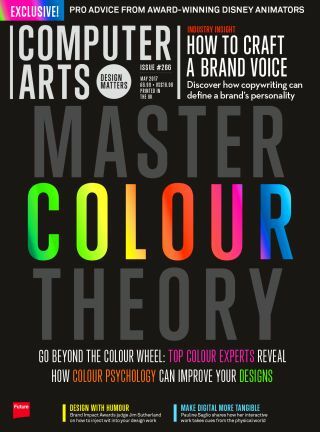 The cover story in Computer Arts issue 266 explores what this means in practice, complete with pro insights from some of the world’s leading colour experts. Buy Computer Arts issue 266 now! This piece forms part of a series of in-depth articles dedicated to the craft of branding from varied perspectives, to mark the fast-approaching deadline of CA's fourth-annual Brand Impact Awards. Elsewhere this issue, for instance, Reed Words founder Mike Reed – who has worked on the copywriting for several BIA-winning projects – explores the fast-growing importance of ‘brand voice’ in design. Meanwhile, joining the Brand Impact Awards judging panel this year is Studio Sutherl&’s Jim Sutherland, who discusses why wit helps achieve impact in branding in the opinion section of CA issue 266. Great news: in our special Spring sale you can get 5 issues for £5 when you subscribe to the world's leading graphic design and illustration magazine. But hurry: offer ends 31 May!